At Schuler Heating and Cooling, Inc., we realize that purchasing a heating or air conditioning system is no small matter. However, if your existing system is old, in need of repair or simply inefficient, purchasing a new unit, one which can be as much as 60% more efficient than a system purchased just 10 years ago, can offer long-term benefits. Rather than continuing to pay for ongoing maintenance and costly monthly bills, invest in a new system today that will save you money for years to come. How can I find the system thats right for me? 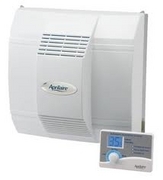 There are many heating and air conditioning systems to choose from today. Schuler Heating and Cooling, Inc. can draw on a vast degree of heating and air conditioning knowledge and experience to help you decide on the system that best fits your specific needs. The size and age of your home, as well as the number of rooms, climate, local and regional utility costs, and utility incentive/rebate programs are all factors that will affect the functionality and, therefore, selection of your system. Air Master, utilizing the latest technology, considers all these factors while assisting you in choosing the best system for your home. Consumers seeking to replace an existing system often choose a new unit with equal or higher efficiency ratings compared to their previous system. Replacing a unit that is 10 to 15 years old may reduce natural gas or electricity costs by 30 to 50%. Contact Schuler Heating and Cooling to help determine initial cost, warranty protection, service options, maintenance options, operating cost and proper installation. Scheudle a visit with Schuler Heating and Cooling, Inc.
Factors affecting the size of your new system include the climate in your region, humidity levels, the number of windows in your dwelling, total square footage of your home, the direction your home faces, the number of heat-producing appliances in your home, the type of insulation you have and the number of people that live in your residence. Schuler Heating and Cooling, Inc. can perform the proper calculations to determine the appropriate heating or cooling unit for your home and lifestyle. Putting a new system in a home that has not had central air and heat before will require the installation of ductwork, insulation, refrigerant piping, electrical service, wiring, thermostat, condensate piping, flue piping, flue terminations, chimney liner, slabs, filter, driers, registers, grills, drain pans and evaporator coil. Beyond equipment, the most important component installed with a new system, however, is the ductwork. Ductwork is composed of two parts, supply and return. Supply duct is attached to the outflow of the new system, delivering air to each zone in a home. The amount of air reaching each zone is determined by the size of supply ductwork connecting it to your system. Your dealer will help you determine the size of all the supply ductwork in your home. The second part of the ductwork, the return duct, attaches to the inlet of the new system and draws air out of the spaces to be heated or cooled. Attached to the return duct is the filter. The filter should be placed as near to the furnace or air handler as possible. Ductwork can be either fiberglass or metal and must be properly sized in order to evenly distribute the proper amount of air to each room. To install the most efficient HVAC system in your household, a detailed inspection should first be performed by your installation contractor. The inspection by your contractor should include, as a minimum, the inspection of your homes ductwork, insulation, refrigerant piping, electrical service, wiring, thermostat, condensate piping, flue piping, flue terminations, chimney liner, slabs, filter, driers, registers, grills, drain pans and evaporator coil. Maintenance and service play a key role in the lifecycle of a heating or air conditioning system. If all recommended maintenance and service actions are taken, an air conditioner can last 12 to 15 years and a gas furnace 20 to 25 years. It is generally a good idea to replace the indoor coil if you are also replacing your air conditioner or heat pump. There is a correlation between the efficiency of your heating or cooling system and the performance of the indoor coil and changing out the current indoor coil for a new one may be critical to optimizing the performance, the efficiency and the savings potential of your new system. Where can I locate my air handler or furnace system? The system can actually be located in several different places. A system with up-flow application might be located in the basement, while a system with a horizontal application may be found in your attic. A self-contained, or single package unit, could be located outside on a slab or on the roof. Your garage could house an up-flow, down-flow or horizontal application system. A heat pump is a device used for either the heating or cooling of a space by transferring hot and cold between two reservoirs. A heat pump can act like an air conditioner, transferring heat from inside to out, or like a heater as it transfers exterior heat to the interior. A winter day with a temperature of 32? Fahrenheit still produces enough heat to warm a space when the air is transferred by heat pump. 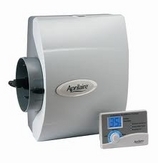 Humidity levels can be reduced by using a variable-speed furnace or air handler as part of your HVAC system. Variable speed units run longer, at lower speeds, allowing air to constantly circulate against the cooling coil and remove more moisture. Variable-speed motors also use less electricity than regular motors, reducing your energy costs. What can I do before calling Schuler Heating and Cooling to service my system? HVAC systems are complicated networks of machinery that should be serviced by a certified professional. However, if your HVAC system seems to be malfunctioning, you can try a few basic steps, which may correct your problem, prior to calling a service professional. If you do not feel comfortable performing any of these tasks, however, do not hesitate to call us. R-22 is the common name for hydro-chlorofluorocarbon (HCFC). R-22 has been used as a refrigerant by HVAC manufacturers for over 40 years, but studies in the past decade have shown that HCFCs contain chlorine, an ozone-depleting agent. For this reason, the United States Clean Air Act has set a target date for January 1, 2010, on which HVAC manufacturers must cease the production of products that use R-22. R-410A is the common name for an emerging hydro-fluorocarbon (HFC) that is being used as a refrigerant in the HVAC industry. R-410A is more environmentally friendly than R-22 and is being seen as the most likely replacement for R-22 by HVAC manufacturers. At the beginning of 2010, the use of alternate refrigerant will be required in HVAC manufacturing. This program places the ENERGY STAR label, a small blue and white logo, on items that meet superior energy efficiency standards. This label provides an easy way for consumers to identify quality, high efficiency products. For more infomation about the Energy Star program,please view their website at www.energystar.gov.